Sweet potatoes are SO 2015 (one might even say they were ‘on fleek’ but then one doesn’t actually know what that means so let’s just pretend that didn’t happen). They’ve popped up on the menus of most self-respecting restaurants, burger joints and pubs in town as an alternative to ‘normal’ potatoes and for good reason – they are lower GI (so don’t cause the same spike in blood sugar), they have less starch and in my opinion they are way tastier too. And it’s not just my – earlier this year the government added sweet potatoes to the ‘national shopping list’, which is used by the Office of National Statistics to track the cost of living in the UK. Admittedly in our household we probably eat about twenty times as many sweet potatoes as the average Brit so we may have skewed their results a little (sorry Mr Cameron) but it’s nice to know that our little orange friends are getting recognised. 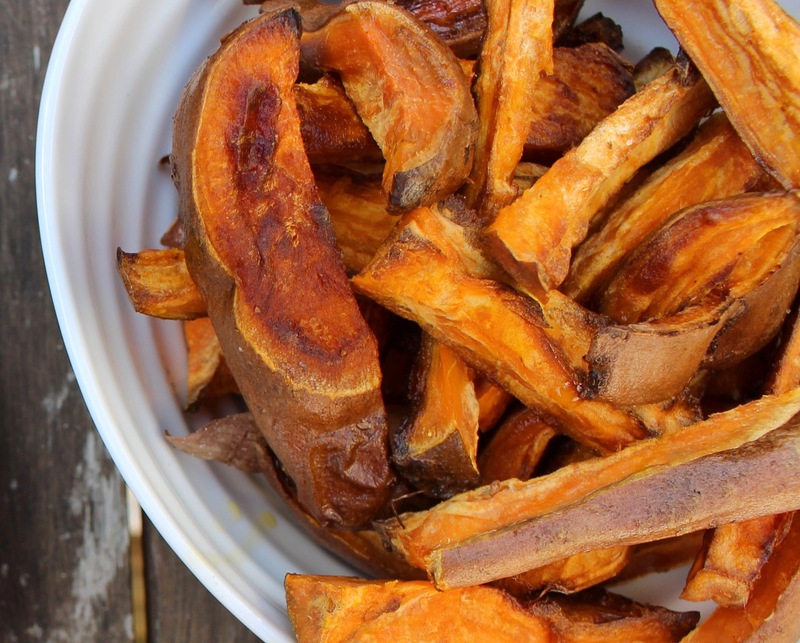 Without going too Bubba Gump on you, these days sweet potatoes are used in curries, risottos, stews, burgers, soups and even brownies, but if I had to pick a favourite way to eat them without a doubt I’d go for wedges. These wedges require just four ingredients and are therefore super economical to make – they’re great for party food served with some homemade guacamole or houmous for dipping, or enjoy them with some salad and veggies for a nourishing midweek dinner. They’re crispy, tender, sweet and slightly spiced – the most incredible combination! To be honest, I’d probably eat them for breakfast if we could. Although thinking about it I’m not really sure what’s stopping me! Sweet potato wedges for breakfast on fleek. No? Ok. In a mixing bowl, combine the smoked paprika, Himalayan sea salt and olive oil, stirring until they are all mixed in together. Place the wedges on a baking tray lined with tin foil, and drizzle the mixture over them all, ensuring that they are all covered. Bake at 180 degrees for about 45 minutes, turning them over half way through, until they go all golden and crispy on top.